Original 'Star Wars' Theatrical Cut on Blu Ray? 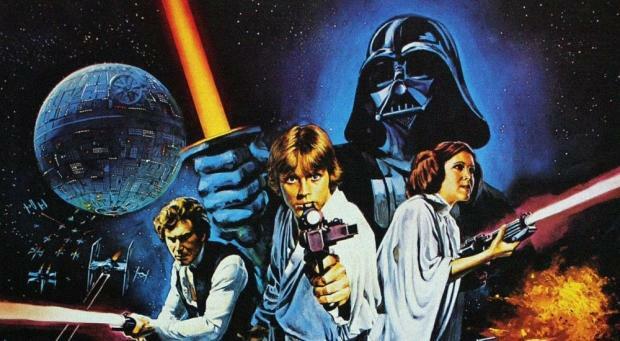 Original ‘Star Wars’ Theatrical Cut on Blu Ray? For years, rumors have circulated claiming that the original Star Wars films by George Lucas and Lucasfilm will be re-released on Blu Ray for longtime and modern-day fans alike, but until this point, all of those reports have been disproven. However, John Landis (An American Werewolf in London) may have confirmed these rumors once and for all. Speaking at Empire Magazine’s Halloween Horror Nights Q&A, Landis spoke about the theatrical cuts, as recorded in tweets by Empire: “At a Q&A tonight, John Landis dropped that Disney are finally going to re-release the theatrical cuts of the original Star Wars trilogy.” Despite the fact that 20th Century Fox is technically still the owner of the trilogy, there is no reason for Landis to lie about the potential release, considering the fact that he is a reputable figure in the film world. It is also highly possible considering that he explained that knows this information from speaking with George Lucas himself-he would still have access to this information-as noted in the tweets. Nothing is confirmed yet, but it would be amazing news for the fandom to have the original theatrical cuts re-released while new Star Wars films are being produced and released today.